Greybrook is pleased to announce that Peter Politis, CEO of Greybrook Realty Partners and Partner of Greybrook Capital, has been recognized as one of Canada’s Top 40 Under 40® honourees for 2018. 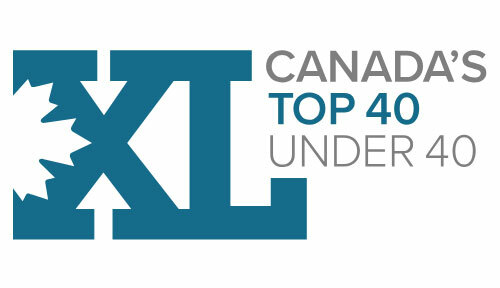 Canada’s Top 40 Under 40® is an annual recognition of the exceptional achievements of 40 outstanding Canadians under the age of 40. The program is supported by several prominent organizations committed to Top 40’s success. Founded in 1995 by Caldwell, Top 40 has recognized more than 680 outstanding Canadians and is the country’s most coveted award for young business leaders. Peter was selected from over 800 nominees by an independent Advisory Board comprised of more than 20 business leaders from across Canada. Honourees were chosen on four key criteria: Vision & Innovation, Leadership, Impact & Influence, and Social Responsibility. Peter joined Greybrook’s group of companies after graduating from the University of Toronto and quickly rose through the ranks becoming a partner at Greybrook Capital within a few years. Peter took over Greybrook’s real estate investment practice and together with his business partners has grown Greybrook Realty Partners into one of the most active asset management firms in the country, investing over $1 billion in private equity into more than 50 real estate developments across Southern Ontario and South Florida. The 2018 Top 40 Recipients were announced today on BNN Bloomberg and in the National Post. The honorees will receive their awards at the Top 40 Awards Night Gala to be held in Toronto on November 21, 2018, at the Metro Toronto Convention Centre. Watch the recipient announcement on BNN. Read the full list of recipient bios on BNN. Read the announcement on the Financial Post. Learn more about the Top 40 Under 40® Award.